This franchise was purchased by the sellers from the franchisor in 2005. They soon invested over $250,000 into their Melbourne, FL store and started working to build their dream business. 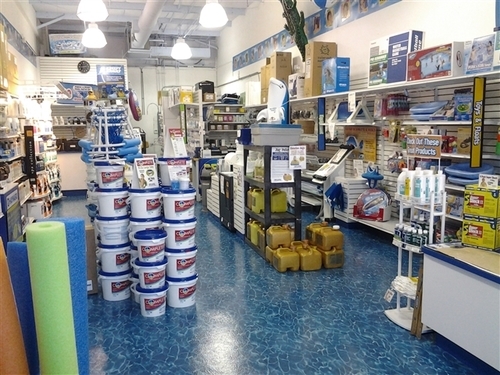 This store currently serves over 6000 customers annually and ranks in the top 50 of the 220 franchised store network. This booming business began with the basic concepts of providing an extensive line of pool and spa care products, the expertise to use them wisely along with outstanding customer service. This is a rare opportunity that is poised for continued success with an outstanding organization. Facilities: This facility includes a significant leasehold build-out and is centrally located in a 1,300 sq/ft strip mall with ample parking, a state of the art security system and a separate storage POD on site. Competition: This franchise re-sale is part of the largest pool and spa supply company in the US with over 220 franchisees and the number one choice in Florida. Expansion: The franchisor continues to introduce new and exciting products producing dynamic growth. These products along with dedicated franchisees insure the future of this unique franchisor. Support Training: The franchisor requires attendance at their 4 week intro/training class. Additionally, the seller will train for 10 business days at no-charge.